In the 1950s and earlier, the transmission of choice for drag racers was the manual. While not every racecar back in the day utilized a manual gearbox, the majority of them did. Technology for an automatic was not advanced enough to allow automatics to be as competitive as a manual. At the time automatics were unreliable and couldn’t hold power required for a drag car. 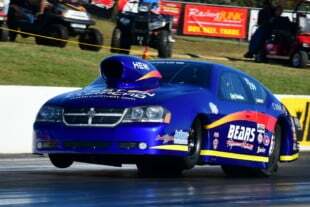 Companies like B&M, ATI, and TCI were diligently working on automatic products to hold up to high-horsepower racecars. 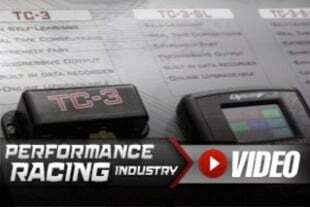 Their goal was to beat out the manual transmission in performance, and they succeeded. 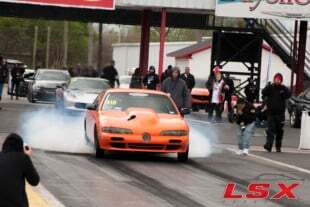 Today the majority of drag racers use automatic transmissions in their quest of speed. Unlike manual transmissions, automatics are easy to operate, extremely reliable, and easier on drivetrain components. They also don’t require the skill that’s involved in launching a manual transmission consistently. As the old saying goes, “Manuals are for impressing the girls and automatics are for winning races.” Well, this might be true unless you are racing in the Monster Clutch Co. sponsored Stick Shift Class at Street Car Takeover (SCT). 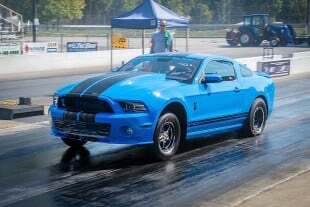 According to Chase Lautenbach, owner of Street Car Takeover racing series, ” Our most popular class is the Street Racer Class, but our Stick Shift Class is blowing up. It’s not only growing our series, but it’s also putting life back into the stick shift scene.” This class offers very few rules for the racer which has probably helped it gain some popularity. You will see a variety of cars in this class from all-wheel-drive, front-wheel-drive, rear-wheel-drive, imports, and domestics which keeps the class interesting. We wanted to get the inside scoop on this class and what better way to do it than to talk to a competitor. 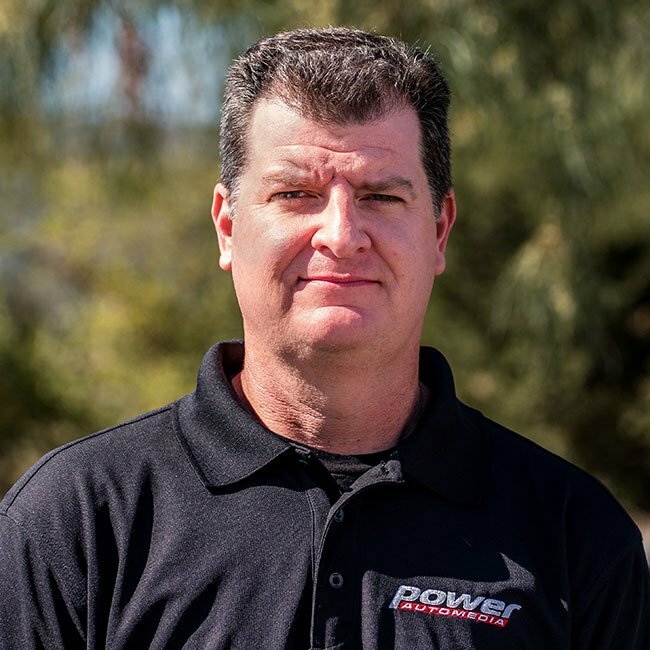 We reached out to Jared Cocanougher, a salesman for Brian Tooley Racing (BTR) out of Bardstown, KY. Jared is the owner of a wicked 2003 Corvette Z06 and has been involved in the racing scene for 15 years. He races in the Stick Shift class each year and makes about 5-10 races a season depending on how much time he has for this event. To see what it takes to be competitive in this class we will take a look at Jared’s ’03 Z06. The ‘Vette features a custom built Brian Tooley Racing 427 cubic-inch LS engine with a massive ProCharger F-1X-12 head unit. The engine is controlled by a Haltech 2500T ECU and tuned by Shortuning. The drivetrain consist of an RPM Transmissions built T56 transmission with G-Force internals and an RPM built ZR1 differential. The triple disc clutch used in the Z06 is a unit from none other than the class sponsor, Monster Clutch Co. 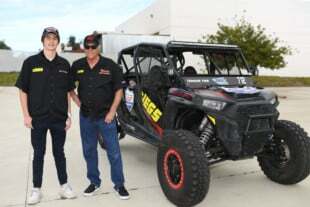 The Drive Shaft Shop axles are connected to the RC Components 15×12-inch wheels and Mickey Thompson 28×10.5×15 stiff wall tires on the rear, and 17×4-inch wheels up front with M&H front runners. The Z06 uses TRZ Motorsports front suspension, Menscer Motorsports coil-overs, and all of the fabrication was handled by Roberts Motor Works. 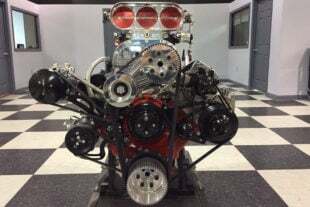 Jared’s shop, Race Proven Performance in Harrodsburg, KY did all of the work to the car. The Corvette makes north of 1600 horsepower which has pushed the car to a quarter-mile best of an 8.00 e.t. at 189mph. The best eighth-mile that Jared has managed is a blistering time of 5.25 e.t. at 148mph but unfortunately, the engine lifted the heads which resulted in an 8.13 quarter-mile time coasting across the line at 148mph. 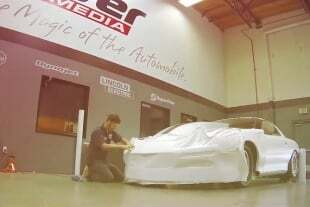 When we started this article Jared was planning to retire the C5 and bring out his new car that is being built by Tin Soldier Race Cars which is close to completion. However, the plan has changed and he will be campaigning the Z06 again this year but with a new engine combo. 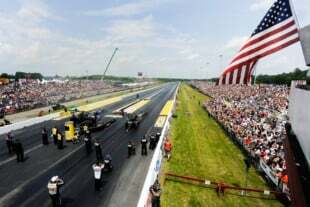 Jared states, “To run up front this year, the field will be north of 1500 horsepower and trapping in the 180mph zone. 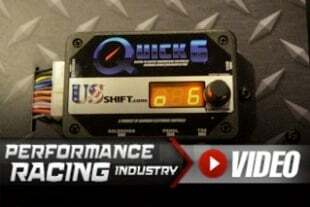 We’re anticipating going 7.5’s in the quarter-mile at 200mph if the transmission will live.” Jared expects someone in the class to run a low seven-second pass this season which will be a huge undertaking with a manually shifted H-pattern transmission. According to Jared, the Stick Shift Class players to watch will be Garrett Mitchell, Jon Rogers, Josh Tonski, Yandro Ulloa, James Short, as well Logan Tarrant. We have no doubt that Jared will also be in this mix with his Z06 and we are super excited to see his new car when it’s ready to debut. If you’re looking to get into the stick shift class, check out Street Car Takeover for rules and a list of events near you. Who knows, maybe you can impress the girls and win races with your next build.